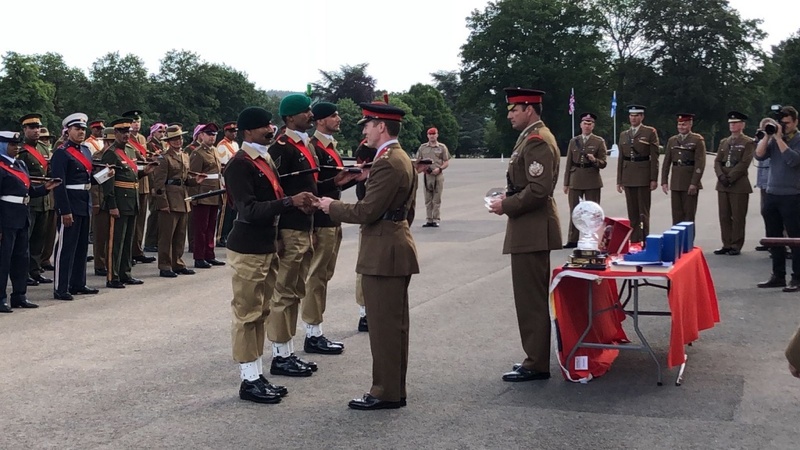 Pakistan Army team won the drill competition commonly known as All Arms and International Pace Sticking Competition held at the Royal Military Academy Sandhurst, UK on 14 June 2018. With as little time as two months for learning the drill exercise, the team from Pakistan Military Academy high kicked its way to the surprise win at the 90th Competition at Sandhurst. In his message of felicitation on the occasion, H.E. Syed Ibne Abbas, the High Commissioner, commended Pakistan Team’s dedication and spirit to take on the challenge. He said Pakistan Team once again demonstrated at the Sandhurst Competition the highest standards of professionalism and excellence maintained by our armed forces.